The Best Alcohol blogs from thousands of top Alcohol blogs in our index using search and social metrics. Data will be refreshed once a week. Also check out Alcohol Podcasts and Alcohol Youtube Channels. Alcohol newsletter is a comprehensive summary of the day's most important blog posts and news articles from the best Alcohol websites on the web, and delivered to your email inbox each morning. To subscribe, simply provide us with your email address. London, UK About Blog The International Spirits Trade. The world's leading international spirits magazine. The leading international spirits trade publication; at the forefront of what is happening in the spirits industry. Facebook fans 17,532. Twitter followers 25,954. About Blog PUNCH is an independent, online magazine in collaboration with Ten Speed Press. We’re in the business of narrative journalism written and visual on wine, spirits and cocktails, and the culture that surrounds them. Facebook fans 81,419. Twitter followers 15,653. Facebook fans n/a. Twitter followers 2,711. About Blog Drink Me brings you the entire world of drinks, from the best new spirits to killer wines, craft beers, and everything in between.It has become the go-to resource for drinks professionals and consumers around the world. Facebook fans 25,996. Twitter followers 34,401. About Blog A place to discuss alcohol related news, mixed-drink recipes, and other things related to the sauce. Facebook fans 1,205,782. Twitter followers 571,416. About Blog Drinks International is the global choice for the drinks industry, providing news, analysis, comment and research on global markets, brands and drinks categories. Facebook fans 9,144. Twitter followers n/a. About Blog Cheers is the largest national magazine dedicated to the needs of the off-premise beverage alcohol retailer, whether it’s the owner of a single liquor store, the general manager of a warehouse store or the buyer for a large supermarket or drug chain. Facebook fans 1,595. Twitter followers 1,975. Mountain View, CA About Blog Comprehensive up-to-date news coverage on Alcoholic Beverage Industry, aggregated from sources all over the world by Google News. Facebook fans 22,354,534. Twitter followers 212,892. About Blog Beverage industry news and updates from just-drinks. Read research on trends and market share for soft drinks, beer, wine, cider, spirits and water brands. Facebook fans 2,110. Twitter followers 11,033. Kentucky, Cincinnati About Blog The Web's Premier Location for Bourbon, Whiskey and Craft Beer News and Reviews. Facebook fans 560. Twitter followers 1,563. About Blog Latest Updates on Alcohol and Liquor. About Blog Adam Levy, The Alcohol Professor, is dedicated to educating industry pros and enlightened consumers about the international culture of quality adult beverages. Facebook fans 8,705. Twitter followers 5,145. About Blog The largest national magazine dedicated to the needs of the off-premise #beverage #alcohol retail #business. #beer #whiskey #vodka #wine. Facebook fans 521. Twitter followers 1,110. New York, NY About Blog Shanken News Daily is a daily email news service and research covering the global spirits, wine and beer business. Facebook fans 2,408. Twitter followers 4,465. About Blog London's Premier Alcohol & Drinks Delivery Service :: Alcohol Delivery company providing Late Night Alcohol Delivery Covering London, Surrey, Kent & Middlesex. Facebook fans 16,643. Twitter followers n/a. About Blog Gastronomista is a website dedicated to the culture of drink. It is a place to test out cocktail recipes, share discoveries from travels around the world, and to share new and old delicious libations. Facebook fans 8,747. Twitter followers 39. About Blog DRiNK Magazine is created by Thirsty Work Productions, and is Asia's only magazine dedicated to the on-trade beverage industry. DRiNK has a 100 per cent controlled circulation of 10,000 copies, sent out to a targeted readership of bar, nightclub, hotel and restaurant professionals only, working in Beijing, Shanghai, Shenzhen, Guangzhou, Chengdu and Hong Kong, as well as other cities. Facebook fans 4,718. Twitter followers 97. About Blog Come celebrate the highs of your life with your buddies @ the 'Spiritz Lounge'. Post comments, rate our stories, photos and also share your cocktail recipe. Facebook fans 1,234. Twitter followers 176. Seattle, WA About Blog The adventures of a spirits, and cocktail enthusiast. In pursuit of whiskey and cocktail culture lore. Facebook fans n/a. Twitter followers 1,144. About Blog Boozist is a Chicago-based alcohol and lifestyle blog focused on the entertaining side of alcohol. It covers products, events, and industry news without the pretension of the finest palate or a belief that we are above the trend. It’s dedicated to the 90% of consumers who don’t read beer blogs or whiskey websites. Our job is to bring what’s new & exciting to those who might not otherwise find it. Facebook fans 7,926. Twitter followers 4,637. Jersey City, NJ About Blog Our goal is to raise awareness for Fake Alcohol and promote safe drinking. Our web portal allows consumers to search liquor violations and report tips. Facebook fans 193. Twitter followers 2,872. About Blog A blog dedicated to the business of spirits and wine. Facebook fans n/a. Twitter followers 1,063. Philly, NJ, NYC, South Bay About Blog A collaborative blog about Craft Beer, Whisky, Cocktails, and so much more! Facebook fans 345. Twitter followers 1,584. About Blog Alcobev Magazine for Indian Alcohol and Beverages industry by SAP Media Worldwide Ltd.
Facebook fans 1,512. Twitter followers 6. About Blog A blog about booze by Billy. As the name suggests. Billy's Booze Blog is an equal opportunities booze information source. Facebook fans 230. Twitter followers 302. About Blog Weekly newsletter of Alcohol News and Articles around the world by Lauri Beekmann. New York City About Blog News about alcoholic beverages. Commentary and archival information about alcoholic beverages from The New York Times. Facebook fans 13,764,942. Twitter followers 34,970,472. About Blog News about alcoholic beverages focusing on Beer, Wine & Spirits. Facebook fans 2,069,718. Twitter followers 2,604,344. About Blog Covering the business of the beverage industry. Provides daily content, industry events, and job listings. Facebook fans 6,862. Twitter followers 14,237. USA About Blog Imbibe is the ultimate guide to drinks culture. In every issue of the magazine and on the website, you’ll find the best drink recipes, reviews, destinations and profiles—everything you need to know about the people, places, flavors and culture of drinks around the world. Here you'll find recipes and everything related to cocktail drinks. Facebook fans n/a. Twitter followers 242,851. Nigeria About Blog Beverage Industry News (NG) is a trade news resource on Wines & Spirits for the Nigerian beverage industry. About Blog Liquor reviews and spirits reviews are available at Proof66.com on thousands of liquor and spirits bottles. Review official liquor reviews, spirits reviews, liquor ratings, and spirits ratings from official competitions. Facebook fans 1,078. Twitter followers 451. Facebook fans n/a. Twitter followers 312. About - The place where you can find inspiration to help you stop drinking and achieve wonderful things! About - Soberpunks.co.uk is a sweary alcohol recovery blog that is written by mid-thirties ex-drinker Jon Turner. Born and raised in West Yorkshire, England, Jon’s drinking career began at around age 15, and continued well into his 30s. About - Join Club Soda is a The mindful drinking movement. About - The mission is To help people Stop Drinking - Start Living - One Live. 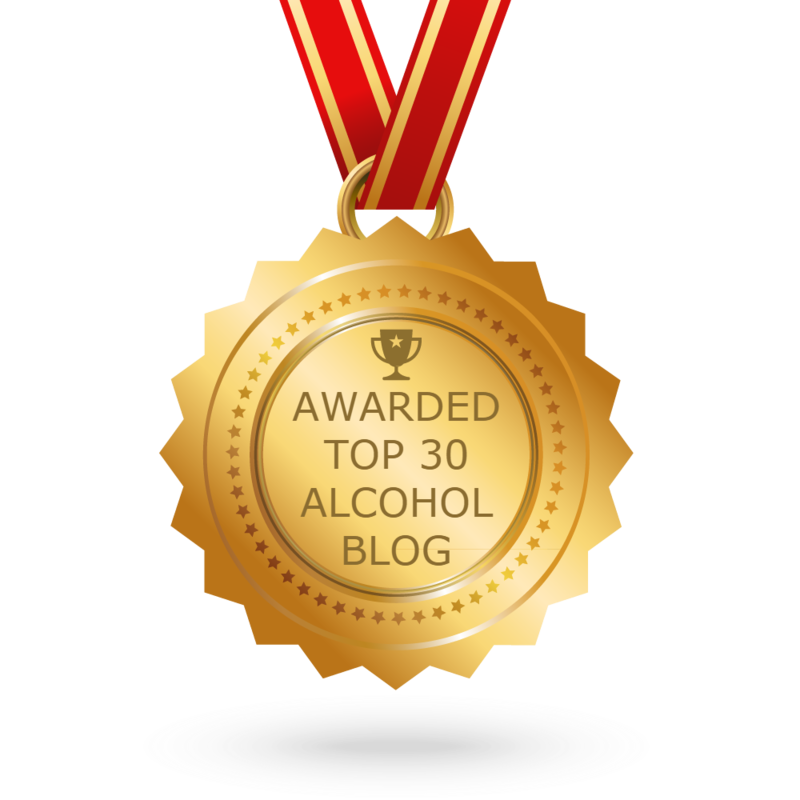 CONGRATULATIONS to every blogger that has made this Top Alcohol Blogs list! This is the most comprehensive list of best Alcohol blogs on the internet and I’m honoured to have you as part of this! I personally give you a high-five and want to thank you for your contribution to this world.